For an extensive selection of affordable new cars, SUVs, and pickup trucks to explore in Fort Collins, CO, turn to Markley Motors. 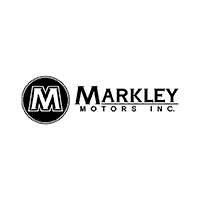 The Markley Motors dealership group consists of Markley Honda and Markley GM, which together provide Fort Collins area drivers with access to the entire lineup of new vehicles from Honda, Buick, and GMC. Select one of our dealership locations Fort Collins or shop our complete new car inventory now to locate your next vehicle at an exceptional price. In 1936, Ferd Markley started our family business with the belief and intention that a dealership needs to build a positive reputation within its community. Now a 4th generation family-owned-and-operated dealership in Fort Collins, we continue to work and live by the same principles. Our employees focus their attention on you and your overall needs, hence passing along our name and reputation by adding you to our family.